Are you a gamer? If so, do you find it annoying when your game suddenly goes haywire because of constant lags and stutters? While you may put the blame on your ISPs, more often than not, this is due to an unreliable piece of hardware. In most cases, this is brought about by a slow or unstable hard drive. If you are on the lookout for a good hard drive to replace your slow or dying hard drive then you are in the right place. In this article, we will provide you with a list of models that fit into the accolade as the best hard drive for gaming. Moreover, we will provide you with a buying guide that will help you narrow down your choices and finally find the right hard drive that will satisfy all your gaming needs. 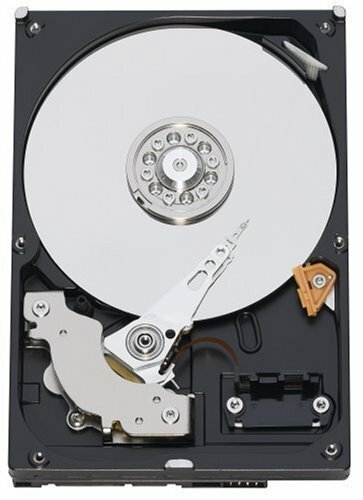 What Are The Best Hard Drives For Gaming In 2018? It’s bad enough that you are in a losing game, what makes it worse is being in this situation because of constant stutters and lags due to a faulty hard drive. To ease out a ton of your worries, we have devised a list of the best hard drive for gaming in 2018. Here are the models that made it into our carefully planned list. 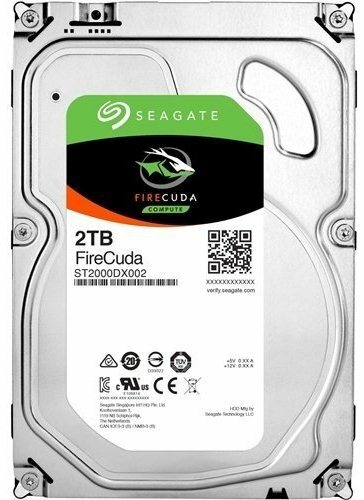 First to be featured on our list is the Seagate 2TB FIreCuda Gaming SSHD. Coming from Seagate, a company that excels in producing storage devices and hardware, the FireCuda dons the same top of the line specifications the company promises. This model is one of the popular hybrid drives present in the market now. They basically offer more value than the conventional hard drives because they provide more features. Hybrid drives offer a larger flash memory cache functions as well as allowing you access to read or write files that are in need of urgent attention. Being considered as one of the best hybrid drives in the market, the FireCuda offers top of the line performance as well as more rapid writing or reading speeds thanks to its 8 GB NAND flash partition. The boost in speed is very apparent especially when it used as a boot drive. This is because all the necessary data is being cached into a flash section of the drive, thereby saving you a ton of time when booting up the computer. Consequently, this allows you to get on your game immediately without having to stare at a boot-up screen for several minutes. This hard drive can read or writer at speeds over 200MB per second. It is extremely fast and reliable. Hybrid discs are known to be very stable even compared to the conventional hard drives. When purchasing the Seagate FireCuda, you get 5 years of warranty making it a worthwhile investment. Our main gripes with the FireCuda is the fact that it can’t be used for RAID applications and moreover, they are still more expensive than traditional hard drives. The next entry on our list is the Western Digital Blue 1TB SATA. Western Digital is known for producing reliable and high-quality hardware. 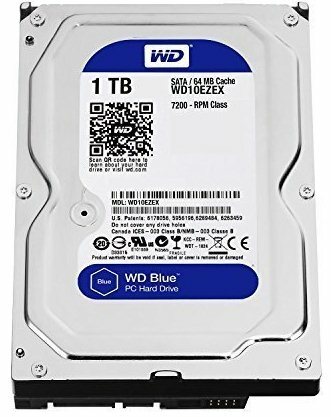 A testament to their efforts of providing high-quality products is the WD Blue 1TB SATA. Despite it being one of the older models on our list, the WD Blue 1TB SATA still knocks it out the park thanks to its storage capacity and affordable price. It comes with the standard 7200 RPM unit, however, the slower 5400 RPM version is omitted. The WD Blue provides 1 TB of onboard storage with a larger 64MB cache. It dons the SATA 3 6GB interface that integrates speeds up to 7200 rpm to provide a stable and more reliable storage. It’s rather hard to choose another hard drive of this quality and amount of storage at this price point. The large storage makes it suitable for gamers who want to integrate a RAID program to boost up security measures. need to be bought separately. If you want a large storage hard drive with a top-notch performance at a modest price tag, then this one is a perfect fit for you. Seagate makes another reappearance in this list. This time it is the 3TB Barracuda SATA. This model boasts a huge amount of storage at a price that won’t break the bank. Its notable features include a 7200rpm construction, 64MB cache and most especially 6GB/s SATA interface that achieves top-notch speeds. 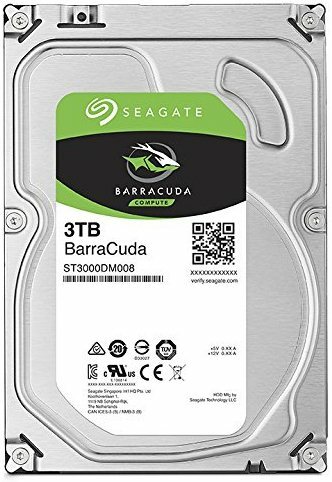 The Seagate 3TB Barracuda comes with 2 years of warranty which means that you don’t have to worry about its lifespan in the long run. It comes with a robust construction anyway so rest assured, the Barracuda is here to stay. The Seagate is also very user-friendly as it is ultimately easy to install without all the unnecessary hassle. You just simply plug it in and then get on with your usual tasks. When you have very large files to save, worry not as it has an onboard storage of 3 TB. So save all you want; movies, games, large documents, the 3 TBs storage of this model can handle it without breaking a sweat. Because of its beastly components though, this hard drive uses a bit more power than its contemporaries. With all these in mind, this makes it another one to consider for heavy gamers. 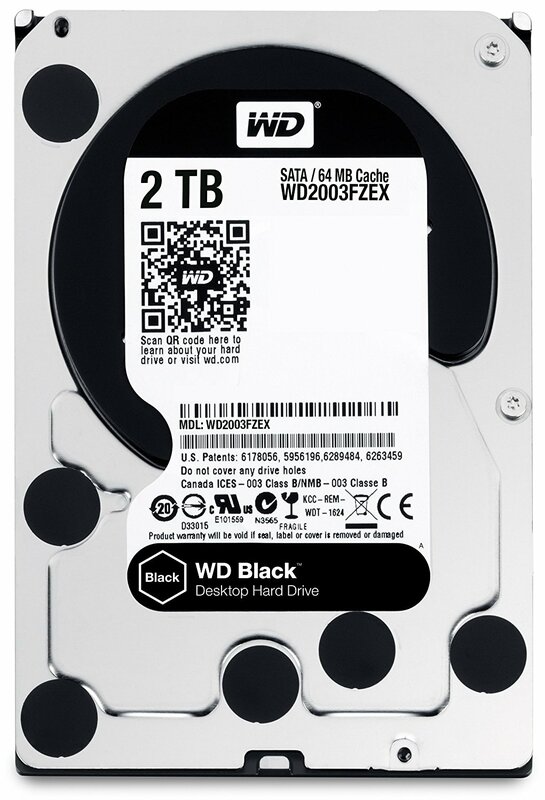 Another worthy entry on our list is the Western Digital Black 2TB Hard Drive. If you are on the lookout for a sleek looking hard drive for gaming that offers a no-frills, powerful setup, then this one is a good fit for you. Western Digital produced this model with stability, speed and power in mind. What adds an icing to the cake is its 5-year warranty which saves you all the hassle of buying new models when your hard disk decides to die down on you. However, the WD Black boasts of a good build quality so you need not worry about this. The WD Black integrates a ton of safety features. These include vibration and corruption protection. Moreover, it is equipped with its patented NoTouch ramp technology which lessens the chance of moving parts from bumping into each other providing better longevity of the unit. The WD Black also features a dual-core controller cache with a size of 64 MB. This setup allows faster speeds and a more stable boot up. It also has a 7200 RPM construction and SATA 6.0 GB data cabling. However, a somewhat deal breaker for some would be the fact that accessories are sold separately. In addition, you need to shell out more bucks as it is rather expensive. The last but definitely not the least entry on our list is the Western Digital (WD) Caviar Blue 320GB. If you are on the lookout for a gaming hard drive that does all the necessary tasks while having a low price tag, then this one’s for you. The Western Digital Caviar Blue offers a simple, no-frills package. At a price that is almost a quarter of the higher end disks in the market, it offers decent hardware and specifications. Inside the WD Caviar Blue is 320GB of onboard storage. Indeed, it is small compared to the others on the list, but 320GB is sufficient for most popular games. The low storage, fortunately, can be amplified by installing external hard drives or even plugging in a flash drive. There you have it. That concludes our list of the best hard drive for gaming. We know how frustrating it is to have your intense game interrupted by constant lags and stutters that is why we want you to be equipped with the best hard drive you can pair with your gaming needs. We hope that you were able to find the right hard drive to satisfy your gaming needs. Choosing the right hard drive for your gaming needs can be a daunting task. That’s why we are here to ease out the burden of constantly scouring the internet in the hope of finding the best hard drive for gaming. Probably the most crucial factor you must consider when buying a hard drive for any purpose is its speed. The speed of a hard drive relies upon rotations per minute (RPM). A higher RPM means a faster speed which also translates to better performance when writing or reading data. To make things more complicated, the cache of the hard drive also affects the speed of the hard drive. Cache is where the data is being read and written. A larger cache means faster reading or writing speeds. The controller also is responsible for the communication of the motherboard and CPU. A higher quality disk controller means a more stable reading or writing of data with the hard drive. The speed is typically measured in MB or GB per second. A higher number consequently results in a faster hard drive. Another important factor when it comes to hard drives is its capacity. You need to equip yourself with a hard drive with a higher capacity, especially if you want to store a ton of files or data. You can either buy hard drives with capacities ranging from 128GB to 4TB. If ever you have bought a low capacity hard drive and you want to add more, the good news is most computers are equipped with 4 or 5 docks and bays. With this, you can install additional hard drives to achieve a higher storage amount. If you want to install heavy games that bear a higher storage requirement, then be prepared to install a hard drive with a higher capacity. Moreover, capacity is one of the defining factors of the hard drive’s price. The higher the capacity is, the higher is its price. Endurance or longevity is also one of the most important aspects you must take into consideration when buying a hard drive for gaming. Typically hard drives are built to last a couple of years, however, not all hard drives are built equally with the same endurance. When compared to SSDs or other flash storage devices, hard drives are notorious for being more unstable. It is hard to find a hard drive that can last more than 5 years. Because of this, it pays to buy a hard drive that can last more than 3 to 5 years which can still function in top performance. The brand’s reputation is one of the defining factors for this. Go for more well-known brands. It may be wise to use something like a RAID array to help keep your hard drive running in top form and to help protect your important files. Another important aspect of a hard drive that you need to consider is its form factor. Typically, hard drives come in two form factors: 2.5 inches and 3.5 inches. A 3.5-inch hard drive is larger and bulkier. Their larger size is compatible to desktop setups and is known to be more convenient to use. However, newer hard drives integrate the 2.5-inch form factor. 2.5 inch hard drives are basically tailor-made for a laptop. These hard drives are smaller and sleeker but still provide the same capacity that the larger (physical size) hard drives possess. Aside from laptops, these hard drives are also custom built to be used for consoles such as Xbox and PS4. To answer the question about which of these two form factors you need, you need to consider what type of gaming rig you are using or plan on using. For desktop users, 3.5” hard drives are more suitable. Not only do they do the work, but they are also more affordable. Most new PC tower cases support both hard drive sizes. On the other hand, if you are playing games on a laptop, then it is best that you buy the 2.5 inch hard drives. Be prepared to shell out more cash as they are more expensive compared to 3.5 inch hard drives. If you plan on buying a hard drive that rivals the performance of SSDs but is on a tight budget, then you should consider buying hybrid discs. Hybrid disks are typically hard drives that possess a solid state drive (SSD) which serves as a data cache area. This mimics how the RAM manages usual tasks in a computer. The concept of how hybrid discs operate is fairly simple. They can quickly access data that has been recently used or written. This allows a speedier performance and a more capable storing function. As time passes, the data that is once stored on the SSD is being stored permanently on the hard drive. Hybrid discs are suitable alternatives to pricier SSDs. Sure, Solid State Drives are of course faster and more powerful compared to hybrid discs but the difference is not by a mile away. But when compared to conventional hard drives, they are pronouncedly faster and powerful. The price increase is not much of an issue when you a have a disc that performs better. However, take note as hybrid discs are built in the same way as conventional hard drives when it comes to endurance. Typically hybrid discs will only last you 3 to 5 years of optimal performance until it starts to show its age.